The image cropping of this block has been improved. The preview of the image cropping now reflects exactly how it will look to other users. Site managers don’t have to fill in alternative text for this image anymore, this field is removed. This tool can be reached in the site manager dashboard. 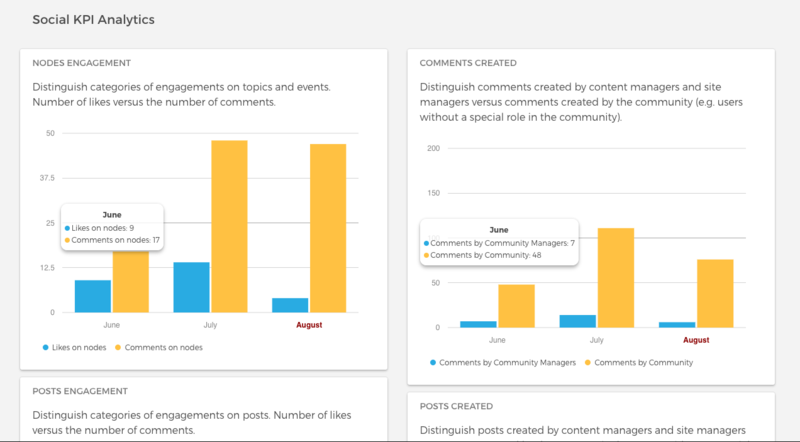 In this tool, site managers can see community KPIs regarding active users, content creation and content engagement. Do try this out. Besides these two improvements, we also worked on bug-fixes to ensure Open Social works reliably. Enjoy Open Social!